UC San Francisco’s new $1.52 billion Medical Center at Mission Bay in San Francisco – paid for out of the deep pockets of Salesforce founder Marc Benioff -- opened up over the weekend. The facility includes three hospitals: one is for women, another for children and a third for cancer patients. The new Med Center is full of the high-tech bells and whistles you’d expect from a Silicon Valley hospital. 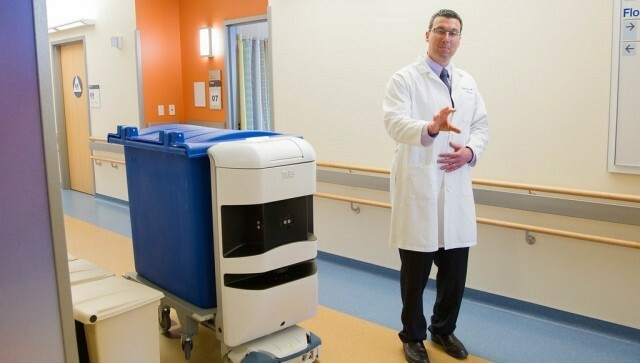 Let’s start with the world’s largest fleet of autonomous robots, called “Tugs” which can pick up and deliver medicine from the pharmacy, along with clean laundry and meals, across the hospital’s 800,000 square-foot facility. 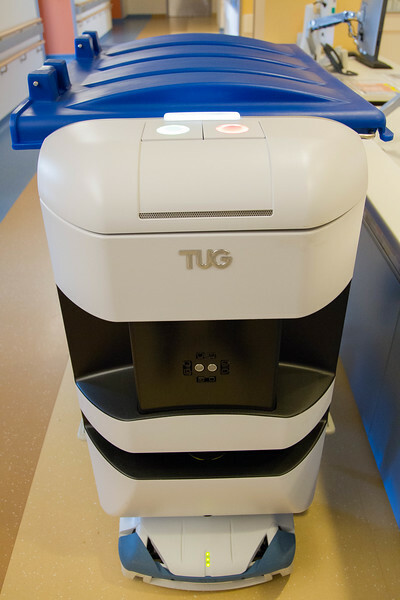 The robots, called Tugs, are programmed with the complete hospital layout and can communicate with the buildings' doors and elevators. (UCSF). The robots work largely around the clock, though two of them get nights off at a time. They're keyed to be able to open doors, call elevators and roam around the hospital by themselves, requiring human intervention only if they manage to get stuck. On any given day, UCSF Medical Center's computer simulations estimate that a Tug robot will traverse 12 miles, or about 300 miles a day across the entire fleet. It knows every hallway, bench and corner of UCSF's hospital complex, and has been programmed to communicate with six of the building's 20 elevators and hundreds of its doors. Eve also comes equipped with 30 infrared and sonar sensors, one laser and a camera, so that it can tell when someone or something is in front of it. "Please stand aside," Eve politely says when it confronts such an obstacle. And if need be, she'll say it in Spanish or (why, we aren't entirely sure) with an Australian accent. 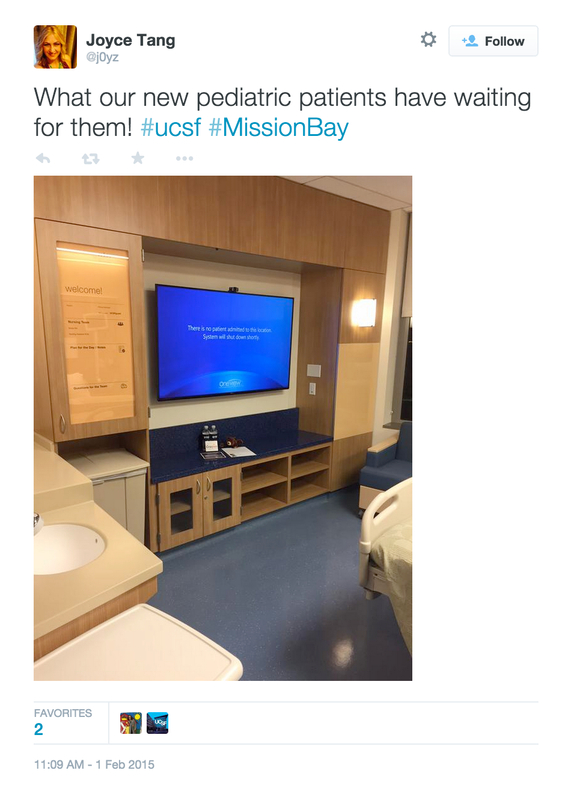 The new hospital rooms are getting a tech upgrade as well, thanks in part to "media centers" featuring 60-inch flat-screen monitors. According to NBC, the screens let patients Skype with friends and classmates (or just watch movies) from bed. That's a big deal, notes Computer World, for pediatric patients trying to stay on top of school work, or immuno-compromised patients who can't see family members in person, for fear of contagion. Bedside tablets, meanwhile, let a patient request meals, assistance, or view lab results and scans. Patients began moving into the new facility on Super Bowl Sunday.